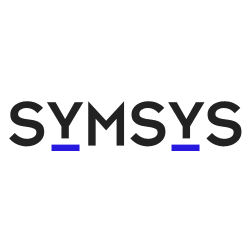 With Symsys9, the all-in-one ERP system used by hundreds of advertising agencies, media agencies, studios, from large international to compact local, as well as in-hous agencies of large companies. And with SymsysWS which unites MRM, PPM, CRM, CMS and DAM in the single solution for organizations that deal with many (communication) projects whereby all parties involved work together optimally and strategic objectives are achived. Hi there! Can I help you find the best Communications and Media solutions?